Whether our customers are roofing a new property or repairing an existing one, we handle everything from complicated, high-end construction and restoration to relatively straightforward fixes. 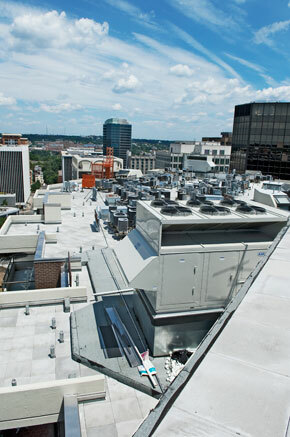 Unlike some contractors, who contract special services to others, we self perform our work. We create custom flashings. We install railings. We do our own masonry. In other words, we are accountable to our customers, from start to finish. For our customers, our approach means superior craftsmanship, done safely and on schedule.